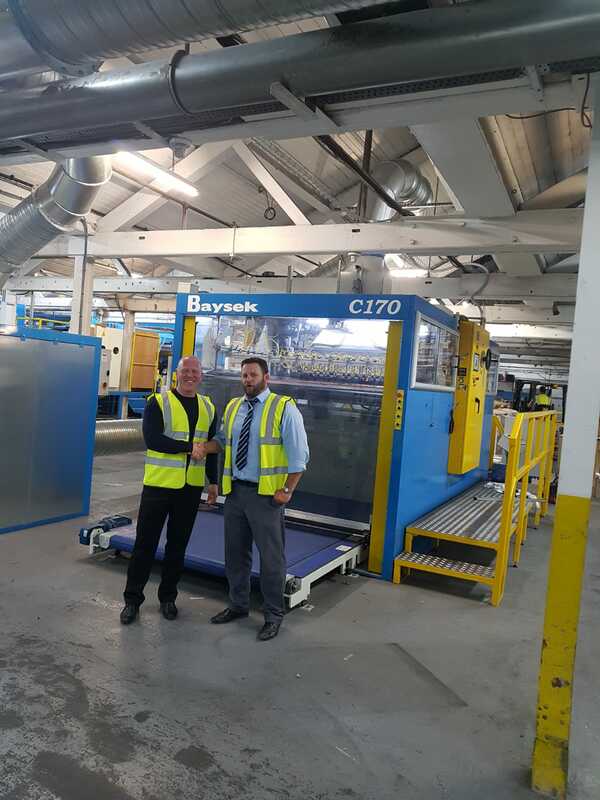 M&K Trading Ltd, the Cambrideshire-based machinery manufacturer and supplier are delighted to announce that they have supplied a Baysek C-170 to Preston Board & Packaging Ltd.
Preston Board were keen to increase productivity and efficiency, replacing older machinery in the process. The new machine also opens new markets for Preston Board due to the speed and versatility of the Baysek compared with the machinery they were using. 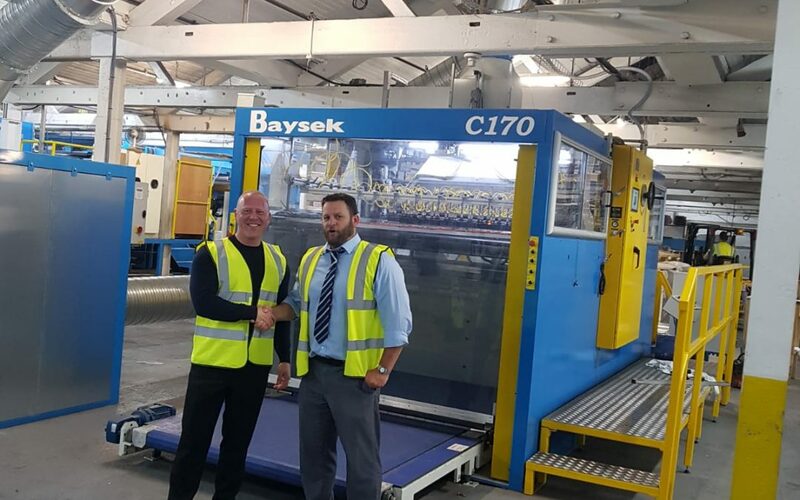 Director Chris Ingham, pictured below with M&K Sales Executive Robert Jess adds; The Baysek has opened doors into new areas previously left unexplored by Preston Board. We can now offer our customers laminating, die cutting and guillotine services all under one roof with lead times as little as seven days. We are currently in talks with a number of potential new customers as we explore numerous possibilities presented by the Baysek. We are very happy with the machines performance and support we have received to date. The C-170 machine has a maximum diecutting capability of 1400mm x 1700mm with variable speed control and can handle a variety of substrates, from F flute to DW with quick set up times and no make-ready. The machine is operated by one person making it highly productive. Waste is automatically stripped away with no nicks meaning a finished, counted stack is ready for shipping. Simple one out to complex multiple out dies can run at the maximum speed of 1800 sheets/per hour.